The Canadian band’s fourth album luxuriates in baroque pop-rock. Electronic Beats’ online contributing editor Daniel Jones and André de Ridder— conductor for international orchestras including BBC Symphony and London Sinfonietta and collaborator with groups like Gorillaz, These New Puritans, Owen Pallett (Final Fantasy), and Mouse On Mars—contemplate it together. Daniel Jones: It really surprised me to see what a massive release this turned out to be. Not just in terms of the release itself, but the teaser videos, the announcements and so forth. André de Ridder: That’s something I appreciate about Arcade Fire; they don’t just think only about the music and the songs, but how they present and introduce new material and draw everyone into a new world. You may call it marketing nous, but I enjoy being taken on a journey this way. They really question the medium of the music video outside of just promoting the music. Their concepts go beyond that, to where, if you want to, you can discover things about the music and the context. It’s never just another music video, but rather like both a piece of art and a jigsaw puzzle. I’ve watched the “Reflektor” video a few times now as well as the half-hour live video where they play in this nightclub. There are a lot of things that are difficult to notice at first, and I think it’s the same with the new music. Perhaps some of the tracks are less immediate than on previous releases; it takes a while to explore the various levels of it. This is what I find interesting and alienating about the practice of album reviews. The reviews so far have been fairly mixed, it seems. You and I are now talking about the album after having had the chance to listen to it for two weeks, but obviously there’s this need to write about the album the moment it comes out. Nobody’s interested in reviews that take place three months or so after the release, when someone might have sat down and listened to the record ten times and can actually talk about what it means to them. It’s a fault in the system that people have to write about the album having listened to it once or twice. Great music and great albums often only reveal themselves after several listens. DJ: That’s certainly the case with a lot of web-based music publications, this need to do it first. I’ve occasionally had the experience of writing a review for a record where my opinions transformed over the course of a review, causing me to have to start from scratch. For example I hated Crystal Castles’ III on first listen, and now I’d say it’s their best album yet. Was this the case for you here? AdR: Definitely. I think there are a lot of different layers to it. Before I heard the music, I saw the album cover. DJ: The sculpture of Eurydice and Orpheus by Rodin. DJ: Of course that relates to the Orpheus/Eurydice myth, but for me it also played with the somewhat childlike demeanor that the group has always had; ‘not looking back’ feels like ‘don’t live in the past’, ‘move on’, ‘grow up’. AdR: It’s interesting; the group recently played two shows in London as The Reflektors, which is an alternate identity that they’ve given to themselves—like a mirror, playing with their identity as a band which I think is also a big part of Reflektor’s content and perhaps distancing themselves from certain perceptions, giving themselves space to play in. The day after one of their shows, I read a live review in The Guardian where the reviewer was… not despondent, exactly, but definitely critical about them feeling their way into the new material. I mean, why shouldn’t they? Playing this new material, which is something of a departure… this would happen to any musician. DJ: Playing new songs to new crowds for the first time, you absolutely have to feel your way into it. Feeling what the music does to you in this setting, what it does to the audience, how they respond and how you as a band respond to that. AdR: I think it’s good that you can feel a certain fragility in their performance, as well as in the music. I have a lot of respect for a band so much in the spotlight, with so many expectations to to what has come before, and doing something even more emotionally challenging than what they’ve achieved with their other recordings… it’s a big thing, to put that out on stage. I appreciate that they’re doing it in that way. It’s a living organism, not a fabricated industry thing. DJ: It’s increasingly rare as well to see such humanism in bigger bands, where so often it feels as though everything has been planned out beforehand. You’re right to refer to them as a living organism, because you can really see how they’ve changed and evolved—as people, and as musicians. I’ve seen shows that were, musically, very powerful, but also felt slick, commercial in a way that robbed it of humanism and emotional power and made me feel like I was seeing a product rather than a musician. AdR: They’re a band of many members, at least six at any given time as well as the musicians they collaborate and tour with on a regular basis. Since you mentioned that humanism before, I think that makes it feel even more like a living organism because it’s such a large and shifting collaborative unit. DJ: Having been involved as a vocalist in several bands comprised of multiple members, I can say that it’s rather amazing that such a large group of people are consistently able to release music that’s so coherent and focused. AdR: Absolutely, and that’s what makes the music on this record challenging as well. You can hear that there are so many layers to it, sound-wise and contextual, because there are so many people influencing it, so many different histories behind it even though there is also clear and focused songwriting there as well. It’s impossible to mistake their distinctive style in each new track. DJ: As a compendium to their overall body of work or ‘sound’ in general, I think Reflektor is a strong representation. They’ve advanced in mind and sound, but you do hear these elements from The Suburbs and Neon Bible. DJ: Which certainly can be equal parts dreamlike and nightmarish! AdR: The title track itself has the line, “We fell in love at 19,” which is when Win Butler met his wife Régine. I’m surprised at how personal that is. The first volume of Reflektor is all about adolescence and discovering the religion of music and love. Then they go a step further with the second disc, which is a transcendence of life and love. This is the emotional plateau where the story of Orpheus and Eurydice is set. They start the second disc with a recap of “Here Comes The Night Time” from the first disc and then go straight in to “Awful Sound” and “It’s Never Over”, the pretense of which is the two mythological lovers talking to each other. They swap roles the whole time as well, so the feminine/masculine roles are subverted as well. Then they refer to “what’s beyond the Gate,” which I think refers both to transcending our mundane lives and looking ahead. One of my favorite parts of “It’s Never Over” has a moment where the music in the foreground stops completely, and there’s just this sort of echo of the music as Butler repeats, “When you get older, you will discover it’s never over,” and the beat becomes a heartbeat. This is, to me, the most personal and magical moment on the album. DJ: That particular line has that same sort of awe imbued in it that you feel when you enter a massive cathedral, as though Butler can’t quite believe that, oh wow, growing up isn’t the end but the beginning. DJ: You and I were discussing rhythmic elements inspired by African musicians earlier, which is another aspect you can hear in Reflektor. AdR: Yes, as I told you I recently went to Africa with other musicians, and there were these groups consisting of twenty drummers, and they had these talking drums. It wasn’t just call-and-response or code but actual communication; one man would use his drum to make a statement, and the others would play something that told you they were laughing, that he had made a joke. What’s interesting in this context is that, in a recent interview, the band were discussing about how they took a trip to Haiti and worked with groups of drummers themselves. They mentioned that, in drumming, there seems to be almost a medium of communication. Especially if you don’t speak the same language, you would use instruments as a way of speaking. DJ: Or if you wanted to make a dance-rock album, you’d hire James Murphy to work on it. AdR: That’s another big talking point. I was maybe a little worried, when I heard they were collaborating, about how potentially overbearing Murphy’s influence could be. 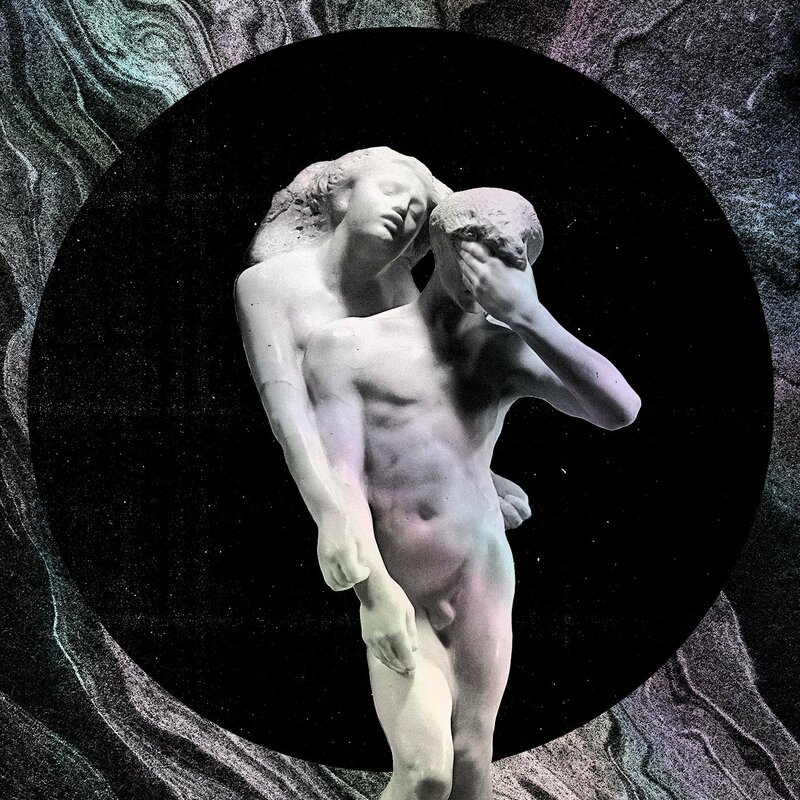 Maybe it’s most obvious in “Reflektor”, but on the rest of the record his influence is more subtle. It’s not at all overpowering, but uses aspects that I think both parties are interested in. You can tell that he had a hand in shaping some of the synths sounds, but it’s still very much an Arcade Fire record. DJ: I was always a bit surprised that Arcade Fire had never worked with LCD Soundsystem before. They were popular contemporaries of each other in the mid-00s who were making the sort of mildly eccentric yet extremely listenable alternative music that would, when placed side-by-side, feel extremely compatible. AdR: With the story of Orpheus and Eurydice, of course it’s one of mythology’s greatest love stories, but it’s also, from the perspective of Orpheus and his talent as a musician, about the power of music. You can tell, for example, that Murphy, Butler, and Chassagne all grew up experiencing that power, and it was that power that brought them together. That’s also what they’re celebrating on this album. DJ: You can tell a lot of love went into making it, and not just the music. The packaging on the vinyl, for example, is lovely and has a strong religious vibe to it, which is an echo of the musical undertones inside. There’s a strong literary feel to the layout that evokes sacred texts. AdR: To be honest, I only got back in to vinyl recently and bought a record player. This classic mode of listening is another reference in the music. I read an interview where Butler talked about how they started out releasing on CD, and now this is the era when the CD comes to an end. He said the band had talked about what kind of album they would make if this were the last time it could be on CD. Of course, I bought it on vinyl anyway so that I could, as you say, enjoy the possibilities of the packaging. DJ: The idea of vinyl being more appealing to the consumer than CD would have seemed bizarre even ten years ago. I met a musician once in Budapest, who told me that he was working on a six-album tribute to the CD as a dying medium for listening to music—but he was releasing it all on cassette. It’s fascinating how we view our tools now, their shortening lifespans as our technology evolves at a more rapid pace. Was anyone thinking about the death of the eight-track, for example? But there are still people today who will tell you that they invested a lot, emotionally, in their eight-track collections. AdR: I’m from the generation where, when I was a kid, tapes were still very much present. It was the medium we recorded on, made mixtapes for girlfriends and so forth. I’m wondering at this recurrence of cassettes. Do you see a lot of younger musicians, those who never grew up with tapes, discovering it now? Because that is weird to me. DJ: Absolutely, though you see it much more in underground scenes; noise, lo-fi punk, and the like. Like you say, a lot of these are younger musicians. AdR: So there can’t be a nostalgic element to it. DJ: It’s rooted more in DIY, in the ease of putting out an album on cassette. You don’t have to necessarily worry about production values or high prices; you just buy a lot of secondhand tapes and go for it. That grainy quality is appreciated. A lot of experimental musicians also appreciate the heft of something physical, which is why you see so many analog synths floating around in that scene. With a group like Arcade Fire, I feel like it’s almost the opposite. They do come from that CD era, this little silver disc as they say on “Reflektor”, when hissing grit and clunky plastic was cleaned up and streamlined. AdR: As well, they’ve come from a very collectively minded scene, and there were always these big instrumental elements in their line-ups utilizing horns as well as strings, which is quite analog. On Reflektor, this element is pushed into the background, ‘transcended’ if you like. It’s subtle, and it sneaks in and then out again immediately while the core of the music is built much more on the percussion and a stripped-down band setup. DJ: Which was the best decision they could have made. Had they come out with this massively, musically complex album across two discs and featuring a huge cast of musical characters and contributors, it would have felt bloated. AdR: There’s still a lot of space in the songs, but it’s more reduced and more focused—and within that, very complex. The process of taking elements in and out is an art. They’ve always had good hooks, and sometimes you hear their music and go, “Oh, this is a really simple hook”, but these hooks stick with you. And they come from a place of having been whittled down from something else until it’s just the right size to really hit the spot. DJ: It’s not an easy thing, to pare something down like that. The simple things are what always stick with you, though. It can be very hard to be so simple. And Reflektor is still complex, but without being overwhelming. It’s complexity simplified. AdR: This is being artistically sensitive and sensible, you know. I’m involved with a lot of projects these days because of a growing trend in music where people want to work with orchestras. I think it’s a problem if there’s this big symphonic orchestra and it’s being used to prop something up, where it doesn’t gel in any way. It’s a very fine line you walk if you get into this world. It can go wrong really easily. Here, you can discover it, but if you don’t really listen out for it, you might not know that there’s an orchestra in some of the tracks. That’s a development I like, that they could have gone bigger, more sprawling in a symphonic way. Instead they used those same symphonic elements to create an ambience of echoes and reminiscence rather than the backbone of the music. DJ: It mirrors the intimacy of the lyrics as well. It’s like you said before: it takes time to put these things into context. Arcade Fire’s Reflektor is out now via Merge Records.